You should mention the names of the leads as Oh Sunny & Na Wang Sik, shouldn't you chingu..?! Since Lee Hyuk is the villain here, he doesn't count..!!! And I am also very concerned that this is not a simple rom-com by Jang Na Ra but a serious one with horror, mystery & thriller..! And I can't honestly take the latest trailer lightly.. It's so intense that I am pretty surprised by the drama series. i really hope they won't show that mummy stuff more often b'cause I hate paranormal science.. Thank you so much @triplem for the video... Hey, is it the next trailer..?! I can't find it on youtube.!! And look at Jang Na Ra~~~~ She's more than a Godess!!! WOW!! Kissing scenes are also there... OH MAN, this is going to be the drama of the century..!! Horror, mystery, thriller, fantasy, romance & everything is there..!!!! One more week left until SBS’s An Empress’s Dignity airs. Judging by the newly released teaser, the tone is much darker and suspenseful than I thought it would be. Jang Nara (Go Back Spouses) stars as a cheerful musical actress named Oh Sunny, whose entire life changes when she marries into the royal family of Korea in this alternate reality where the nation is governed by a constitutional monarchy. However, everything is not as it seems, and she soon discovers there’s a mystery afoot, when the dowager empress suddenly dies under suspicious circumstances. Photos of the beautiful traditional marriage ceremony have been released, and a bit of it can also be seen in the teaser below. Jang Nara and her husband, the emperor played by Shin Sung-rok (Return) look gorgeous in their wedding hanbok. Apparently, many of the props such as the decorations and food were custom-made for this shoot because of the unique setting, which is a reimagining of a modern-day Joseon empire. Although they could have populated the crowd via CG, they got 300-plus extras to be part of the wedding ceremony. The production team really pulled out all the stops on this—even the fireworks are 100% real! An Empress’s Dignity hooked me with its elegant traditional wedding photos, but it really got me salivating with the stills of Choi Jin-hyuk’s (Devilish Joy) biceps. Dang, he looks good… He’s playing a royal bodyguard who is seeking revenge for the death of his mother. In the teaser, there’s multiple shots of him fighting others in order to uncover the truth behind his mother’s death. Of course is not a light drama. Even from the little synopsis available we could tell that. We`ll have some romance because two people will fall in love despite all the troubles and despite an imposible love story from the start. She is married in a royal family. He wants revenge for his mother`s death and we could easily assume that someone in the royal family is guilty of her death. It will be hard for them to be together and all the problems will built their connection and make them stronger. It is a thriller and mystery drama because there is at least one suspisious murder to investigate. It is a melodrama but I hope the writer don`t go too far. (I never saw the writer`s work but I know she goes makjang sometime. Maybe lots of times). But horror? It is not. I like the genre so far and I am glad it is not a rom com. This drama is my cup of tea. I am a little worry about the writer but let`s be optimistic. Remember SSR posted a sad looking Lee Hyuk. I have a feeling the writer might use a sympathy card for LH and Lee and Min Yu-ra(Lee Elijah). It means they will not be totally irredeemable. Maybe something happened to them so they became bad. Min Yu-ra doesn’t look vicious in her younger pictures which shows her preparing an exam to enter the palace. Whereas about the grand empress she looks really scary. She could be a real villain in this drama. I hope to see a strong emotional tug among 4- Sunny/NWS/LH/MYR. Even if the writer goes south with crazy makjang stuff, this trio of JNR/CJH/SSR will engage us emotionally. The drama has 24 eps, so there is plenty of time to develop both romance and suspense/thriller. And I am curious to know whether Lee Hyuk was a bad guy since the beginning or "time" turned him in to the villain zone..! Seeing all these teasers, you already had me at CJH. 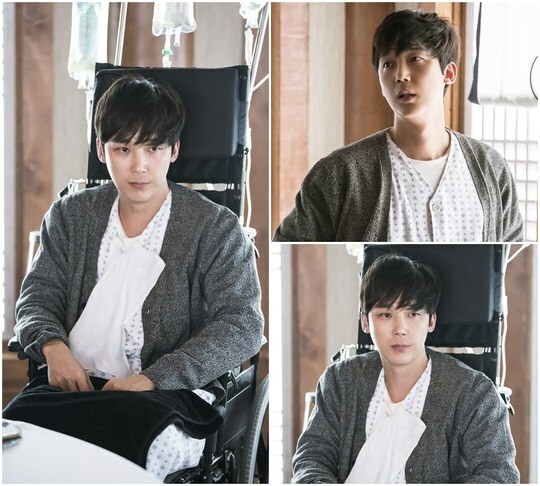 Yoon Jong-hoon (‘Return’) is going to make a special appearance in EP1. 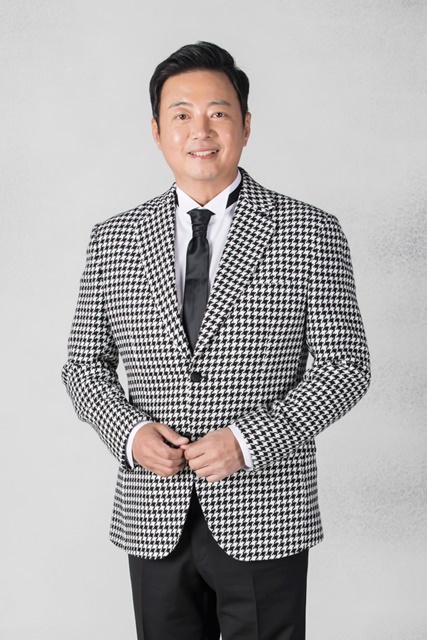 Maybe PD Chu Dong Min who directed ‘Return’, asked him to appear in TLE. @gm4queen haha Yeah CJH is going to look mature/aged with his hair combed up. His face is sensitive with a camera angle so his photo images are varied. Btw another article says CJH will do a lot of action scenes since NWS is a bodyguard. So whenever there is an action scene, he goes to the action school and practices the sequence as any action scene is choreographed. If CJH is able to do an action scene, I have to assume his knee has recovered enough to do such activity? If it’s true I will be very happy for him because I know he always wanted to do such scenes. About CJH’s changed look, I was a bit shocked at first but as @chubby^green^ said, his new look fits well with NWS. I agree. I’m happy he looks totally different from the last character he played (GMS in DJ) In truth I still can’t walk away from OTP in that drama. sob It would be heartbreaking if I have to see CJH appear in TLE with a similar appearance. Thank you so much dear @booha for the detailed update...!! Yes.. We can assume that this series will be a combination of all the genres possible in the K-dramaland...!! Yet, I am so hated the paranormal stuff.. But with Oh Sunny & Na Wang Sik, I think I'll be alright...!! SBS has posted character profiles of our mains. Can I count on you @booha for some translations please? and there's people wondering how can sunny be falling for him while still married to the emperor? **translated Sunny & NWS so far. Hopefully they aren’t too far off. She had a longing for the emperor Lee Hyuk since from high school! The emperor believer! The emperor maniac! After living as an obscure musical actress, then overnight she becomes an empress, national Cinderella! but in the actual reality ... she is a professional substitute actress whom directors want to avoid, and she is in charge of various odd jobs in theater companies. But she likes so much just to dance, sing and act on stage, that she wishes to be on the stage till the end of her life, so she perseveres doggedly with a fighting spirit! In high school, emperor Lee Hyeok told her to meet again when she became a famous actress which boosted her spirit. Then, 12 years later, she meets Lee Hyuk again, on the day when she gets on the stage for her first lead part, and she gets a proposal from Lee Hyuk. but its magic dissipates quickly. He has another woman already. It’s like a hard hit on the back of her head. Even before the shock dissipates, the grand empress dowager who is the only Sunny side dies suspiciously. Sunny confronts the absolute power of the imperial family in order to reveal the truth about the death of the grand empress dowager. It's hard for him to start, but once he gives his heart, he couldn’t see nor hear, and heads in straightforward. He is a Bichw(Jade)-do hoodlum punk whose talk is swearing half the time, and who is prone to swing with his fist rather than talk. He is huge with 140kg, but he is known for his sleek body movements and hot fists, and is famous for his innate fighting temperament. Large organizations try to enlist him with a large sum but he refuses and lives in Bichwi(Jade)-do. It's all because of his mom! The mother didn’t want to see her son becoming like her husband who is a hoodlum, so she threw away all the money which Wang Six earned and gave to her. At the end Wang Sik was defeated by her firm determination. It's his dream to live happily in Bichwi(Jade)-do with mom and Dong Sik and Yu Ra. Then one night the mom is hit by hit-run and is found in terrible shape. It's the emperor of Korean Empire, Lee Hyuk who hits his mother and runs away. To kill the emperor, he carries on with an intense diet regiment to give himself a new look. With the name of Chun Woo Bin, he applies and passes for the imperial guard position. Finally, he succeeds in infiltrating the emperor, and finds Yu Ra sleeping in his arms. In order to punish these two, Lee Hyuk and Min Yu Ra, he begins to take revenge. Emperor of Korean Empire. Absolute power. But to the public, he is known as a romanticist who misses his dead empress. While looking for Bichwi-do, he gets tempted by Min Yu Ra and spends a passionate time with her. Driving while intoxicated, he hits WS’s mother who appeares suddenly and he runs away. For the alibi that he wasn’t at the crime scene, he goes into a small theater pretending to be Sunny's fan. The photo of them is taken and published which becomes the dating rumor with Sunny. He intends to use Oh Sunny and then drop her off, but eventually he gets married to her. he begins to feel for Sunny and starts to feel for her as a woman. He expresses his love in a more obsessive and distorted way. She has the ability to think quickly to find solutions in crisis situations. She is also knowledgeable in various fields and boast of sincerity and perfection at anytime and anywhere. When she was a child, she lost her parents, and Wang Six’s mother, who lived in the same neighborhood, raised her as her child. She grew up with Wang Six like a brother and sister, and developed into a lover with a persistent courtship by Wang Six. But when Wang Six talks about the wedding, her mind flashes out. She studies hard and gets through the secretary team, and takes over the leader position in the secretary team. She goes after Wang Six’s mom because she says she is going to tell Wang Six everything. They scuffle and have an accident. But she is able to fix the accident and gets the trust of Lee Hyuk, and becomes Lee Hyuk’s woman. An affectionate, but strict mother to Lee Hyuk. To Sunny, she is a ferocious mother-in-law. A queen bee who is not afraid of the world enough to be called "a sword woman" in the palace! She is the daughter of a prominent chaebol in Korean Empire, and she holds the real power for the imperial family. She overcomes the strict palace life and married life with obsession and ambition for her children. Especially, the affection for Lee Hyuk is morbid. Seven years ago, after empress So Hyeon died, and the crown prince’s brother Lee Yun was gone, her obsession got worse. In order to separate Min Yu Ra from Lee Hyuk, thinking Sunny would be easy to control, she presses for the empress’s place for Sunny. She thinks it is best to have a scarecrow empress since Lee Hyuk never seems to love Sunny. After the death of the grand empress dowager, she grabs the ultimate power of imperial family authority. And gradually she begins to reveal her ambitions and desires that have been concealed. She is a misfortunate woman who has become a monster while being trapped in the palace a lifetime. so she started as innocent maybe then becoming ugly evil as time goes by? the mystery now is why she was chosen as the wife of lee hyuk? of all people why her? i thought that it is most probably because of the grand empress dowager but there can be others isnt it? or maybe because of her infatuation with him aka lee hyuk that makes her an easy target? wonder how much i can stomach it before i blow up?